The authors, who are the people behind the Alt News website, bust fake news that did the rounds in India. A popular, predictable and oft-used strategy on social media is to foment division along communal lines by spreading misinformation. There are numerous instances, wherein a coordinated and organized attempt to vitiate inter-faith relations has been observed. The tactics employed in this regard are predictable – use of unrelated images and/or videos, or through provocative text. The Rohingya crisis in Myanmar brought attention on Rohingya refugees in India and provided one such opportunity. In the instance that we will talk about here, the nature of the claim accompanying certain photographs revealed the sheer extent to which hatemongers will go in their pursuit of instilling fear, mistrust and hate. Claim: Rohingyas are ‘eating the flesh of Hindus’. The message seemed to have been shared in the form of a newspaper clipping of an obscure ‘news’ publication called Aaj Tak Gurgaon (not related to the India Today Group). Fact: The claim made by Dainik Bharat is nothing less than diabolical. Using Google’s reverse image search, Alt News established that the images have nothing to do with Rohingyas. The photographs are representative of a funeral ritual practised by the Tibetan community, in which a human corpse is placed on amountain and exposed to scavenging birds. This ritual is popularly called a ‘sky burial’ and is a traditional funeral custom to bid farewell to the dead. The images first featured in a blog written in 2009 describing the Tibetan ritual. Alt News traced a National Geographic video as the source of two images. Former Congress president and UPA chairperson Sonia Gandhi has been constantly maligned on social media by her detractors, who seek to cast aspersions over her ‘character’ by sharing content which ‘shows her in poor light’. Claim: Photographs of a woman in beachwear supposed to be Sonia Gandhi. (Look at this, Congressi supporters, and recognise your leader Antonia Sonia Gandhi. Now what do you have to say? Will you all still claim that this a lie?). 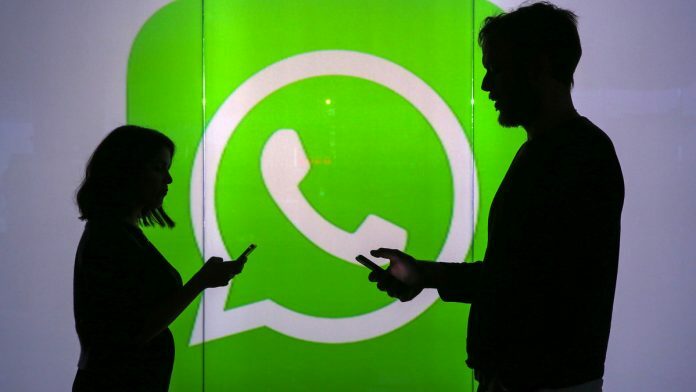 The above message was reportedly circulated along with the photographs and were shared by some Facebook pages. Fact: The photos are not of Sonia Gandhi. To establish the origin of the photographs, Alt News did a reverseimage search the post via Google and found of out that the photographs are actually of Swiss actress Ursula Andress on the sets of the first Bond movie Dr. No (1962). The man pictured with Andress is Scottish actor Sean Connery, the first actor to portray the fictional character of British spy James Bond. This was not the only time that Sonia Gandhi was targeted through the use of photographs of Western actors. In an earlier instance, a young Reese Witherspoon was passed off as a young Sonia Gandhi. India’s first prime minister has been defamed in myriad ways.One such theme over which Jawaharlal Nehru is constantly denigrated is his supposed relationship with Subhas Chandra Bose. Did Jawaharlal Nehru ever refer to Bose as a war criminal? Apparently so, if one were to go by a ‘letter’ which has been circulated widely in the social media ecosystem. 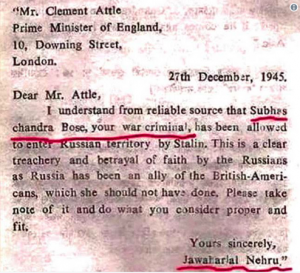 Claim: Jawaharlal Nehru wrote a letter to then British PM Clement Attlee calling Subhas Chandra Bose a ‘war criminal’. The letter is supposed to have been dictated by Nehru and was addressed to the then prime minister of Britain. In this letter, Nehru alludes to the supposed presence of Netaji Subhas Chandra Bose in Russia, months after reports emerged that he had died in a plane crash in Taiwan in August 1945. As can be seen above, this ‘letter’ is replete with spelling and grammatical errors, and makes one wonder whether a person of Nehru’s calibre would have dictated a letter like this. Fact: Apart from the fact that the letter is full of spelling and grammatical errors, an important point to be noted is that the date of the letter is 27 December 1945, whereas the official account states that Bose died on 18 August 1945. A facsimile of this letter does make an appearance in the files related to the disappearance of Subhas Chandra Bose, which were declassified by the central government in 2016. The letter forms part of the testimony of one Shyamlal Jain, who had deposed before the G.D. Khosla Commission established to probe the mysterious disappearance of Bose. Jain, in his testimony, had claimed that the letter was dictated to him by Nehru on the night of either 26 or 27 December 1945 at the residence of Asaf Ali, a Congress leader, in Delhi. A perusal of historical records by Alt News has established that Jawaharlal Nehru was not even in Delhi on the dates in question. He was in Patna on 25 December and later went to Allahabad where he spent the next few days. As for Asaf Ali, he was inBombay on 25 and 26 December 1945. Information about the whereabouts of Nehru and Asaf Ali was accessed through reportsof The Indian Express. Moreover, a perusal of the writings of Nehru revealed that 26 December 1945 onwards, Jawaharlal Nehru was in Allahabad, from where he wrote the preface to The Discovery of India, on 29 December. It is inconceivable that the letter would have been dictated in Delhi on the days on which neither Nehru nor Asaf Ali were present there. Jain’s testimony was eventually not accepted by the Khosla Commission, which concluded that Netaji had indeed died in the air crash in Taiwan in August 1945. 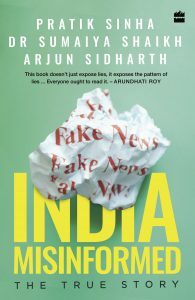 This excerpt from India Misinformed: The True Story has been published with permission from HarperCollins.